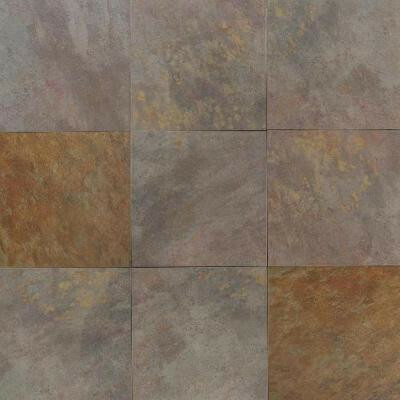 This daltile villa valleta indian summer porcelain floor and wall tile features random tonal variation perfect for laying in patterns or designs or single-size layouts. The larger format can accommodate large or small spaces alike and is durable enough for heavy-duty floor installations, from home entrances to large commercial foyers, kitchens or pedestrian areas. The smooth, glossy finish adds a stylish touch for a wall covering and being impervious, you can utilize the tile in bathrooms, backsplashes or even exterior applications to suit your design scheme. You can buy this product in our internet market. We will be glad if you make the right choice.